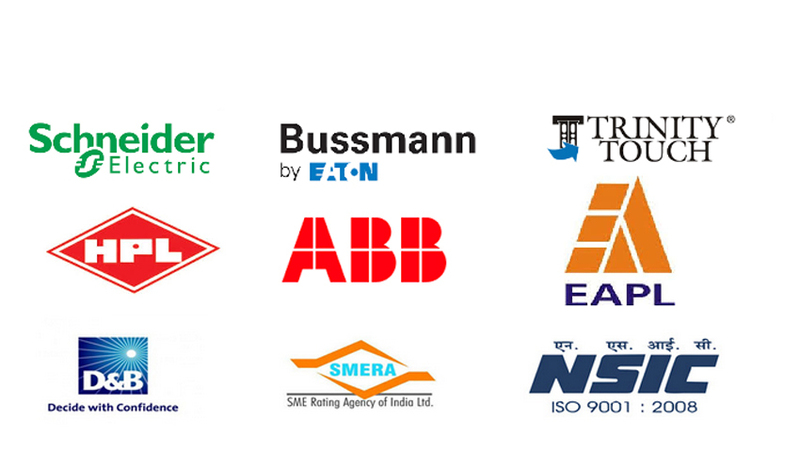 Providing you the best range of halogen free wiring duct, flexible conduit, enclosures, din rails and wiring ducts with effective & timely delivery. When PVC or other traditional plastics ignite in a fire, they emit corrosive & toxic gases like Chlorine. Moreover, these are soluble in moisture, forming Hydrochloric acid, which destroy electronics,semiconductors and intrinsic electrical circuits.While smoke travels containing toxic element, it can be fatally hazardous to humans if they cannot escape from that area. Toxic fumes are not only a serious health risk but also cause serious damage and problems to crucial machineries and intrinsic devices.Halogen Free wires and cables are already compulsory in many areas as they are safer. In the same way, Halogen free wiring duct is most important within enclosed spaces where the exits are limited such as Public Transport, Hospitals, Malls etc. What is the use of Halogen free cables if the wiring ducts contain dangerous material?For example: Hospitals, Airport Terminals, Concert Halls, Sports Stadiums, Railway Stations, Ships, Offshore Oil and Gas platforms,Multistory Buildings and Nuclear Power. Trinity Touch halogen free wiring ducts are outstanding not only for high quality standards and superior technical characteristics.But also, for the variety of models and proven easy installation. 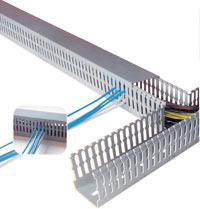 Our halogen free wiring ducts are made from a special purpose LSZH and flame retardant PC/ABS blend containing NO Bromide,NO Chlorine and NO Fluorine.It still offers high impact strength and excellent characteristics used for higher temperature applications. These are in compliance with Standard VDE 0472/815 for wiring ducts. LSZH material also has characteristics of self extinguishing, UL94 flammability rating of V-0 for continuous use temperatures up to 203°F (95°C), it is RoHS (Lead Free) compliant, environmentally safe and is 20% lighter than PVC. Flexible conduit is commonly used for the protection and containment of vulnerable electrical cables, wiring and fibre optics. It is an extremely effective form of cable management, available in a variety of systems, which can cope with a diverse range of environmental factors and operating conditions. Our Basic Series caters to a market which requires compact and robust enclosures. We use a high quality UL 94 grade HB ABS material for the producing all our enclosures. High quality gasket, well engineered screws and tested box design make our basic series a good solution for all the demand placed on compact enclosures. DIN Rails are designed in accordance with the European Standard EN 60715 using state of the art production processes to ensure high dimensional accuracy, restricted tolerances and outstanding surface tempering. The DIN Rails are available in standard lengths of 1M and 2M or to required lengths* with or without perforation. We also offer universal DIN Rail cutter.In accordance with IEC 60 947-7-2, DIN Rail made of steel may be used as equipotential busbar (PE function), but without PEN function. Our entire range of DIN Rails are RoHS & CE Compliant. TDR3 (Third Generation Passivation)This series of DIN Rail is for industrial application conforming to the European standard EN 60715 with THIRD generation passivation of Cr+ Iridescent color, higher thickness film 300nm~400nm, SST stability of 240Hrs. It has an advantage of being fluoride free, organic acid free and has a low metal concentration and improved corrosion resistance. TDR2 (Second Generation Passivation)This series of DIN Rail has SECOND generation passivation of Cr , silver chromated, higher film thickness of 200nm~400nm SST stability upto 240 Hrs, and improved corrosion resistance as compared to the FIRST generation passivation.